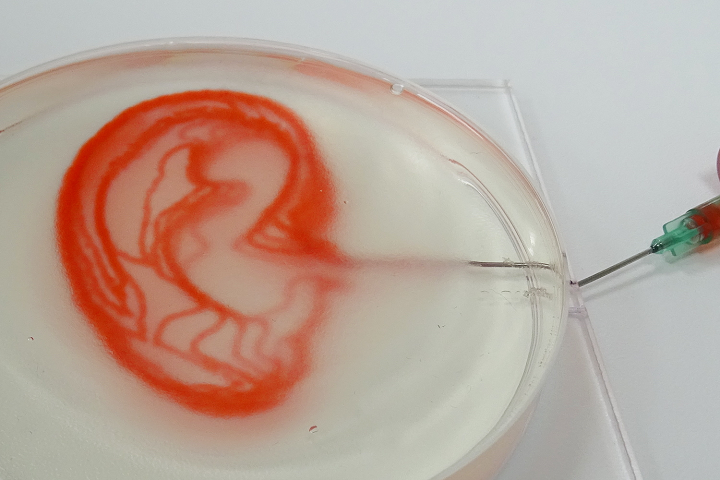 3D printing technology has made a big impact in the medical field, in more ways than one, including bioprinting and biofabrication. The Institute for Development of Advanced Applied Systems, or Institute IRNAS, located in Slovenia, operates Symbiolab, an open source-based biolab that focuses on the development of future-proof 3D biofabrication. The lab works on innovative biomaterials research, and also develops biomedical research applications and hardware solutions, including its Vitaprint 3D bioprinting platform. The open source Vitaprint was developed in-house at Symbiolab, and the platform includes demo files, protocols, and hardware. According to the IRNAS website, the main objective with the Vitaprint platform is to bring 3D bioprinting closer to the audience in fields like the pharmacological industry and medicine, both human and animal. IRNAS researcher Bostjan Vihar told us that right now, the researchers are working to develop new modifications and use cases for custom applications using the Vitaprint. The IRNAS team has been working on a really interesting project with Vitaprint – manufacturing freeform perfusable vessel and channel systems into biocompatible hydrogels. They have had prior success in making 2D branched perfusable structures, as well as 3D molded meniscus models out of gelatin, but have now taken their research to the next level and fabricated a complex, geometric network made of vessels that have shaped the vasculature into that of a human earlobe.